The letter to which she referred came from none other than Emily Dickinson. Mabel was so taken with Emily’s letter that she copied it, word for word, into her journal, as well as writing about it in her diary. Emily’s letter to Mabel thanked her for a painting Mabel had created and sent upstairs to the reclusive poet during a recent visit to The Homestead. 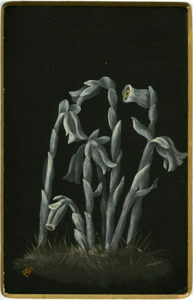 Mabel’s painting was of Indian Pipe wildflowers. This ethereal looking wildflower is also known as “the ghost plant” or the “corpse plant.” It contains no chlorophyll and because it does not depend on sunlight to grow, can flourish in dark, forested places. 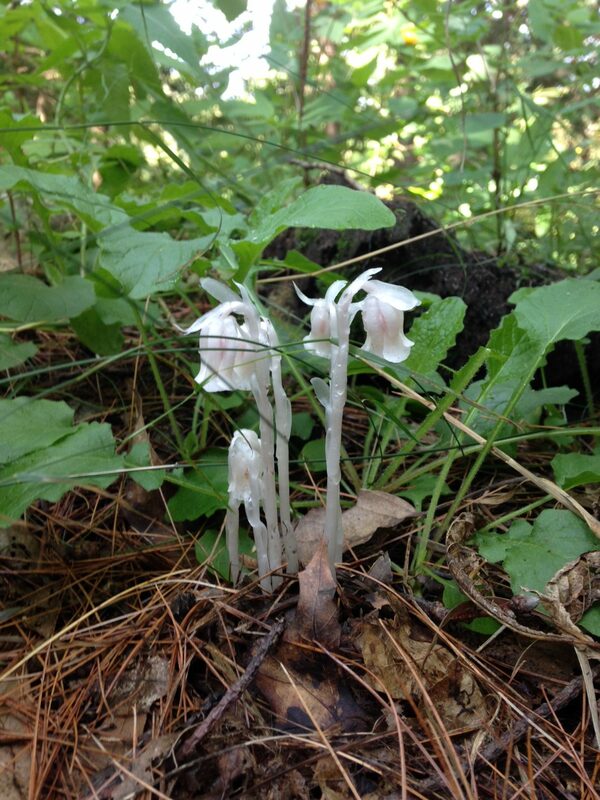 It’s more like a mushroom than a traditional wildflower, appearing suddenly and unpredictably. Its white countenance is striking. And it only lasts for a few days. 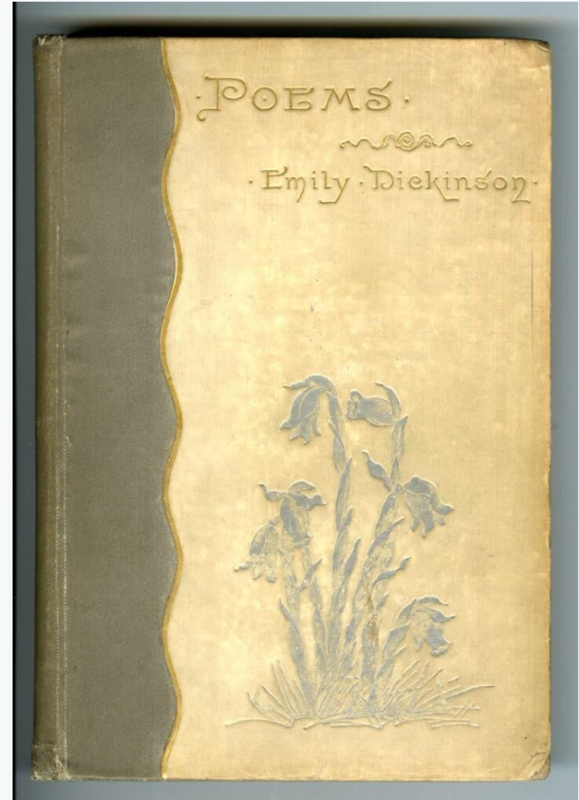 “That without suspecting it you should send me the preferred flower of life, seems almost supernatural, and the sweet glee that I felt at meeting it, I could confide to none,” Emily wrote. “To duplicate the vision is almost more amazing, for God’s unique capacity is too surprising to surprise. I know not how to thank you—We do not thank the rainbow, although its twoplay is a snare. Interesting – and weirdly – right after I had received the first proofs of After Emily from W.W. Norton, I was out walking my dog and saw something I’d never before seen in the woods in front of the home where I’ve lived for three decades: Indian Pipe wildflowers. I snapped a photo on my phone because I could hardly believe what I’d seen!